It's February! Which means it's no longer January! 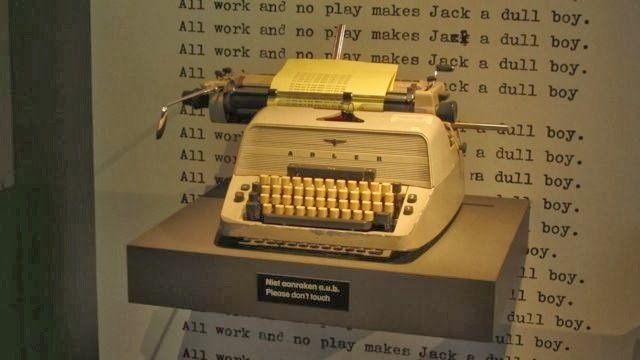 Which means that with each passing winter month, it's less likely that come spring, someone will find a 500 page manuscript laying around in my living room, filled with just one line typed repeatedly over and over ...'All work and no play makes Melissa a dull girl' So that's good news! 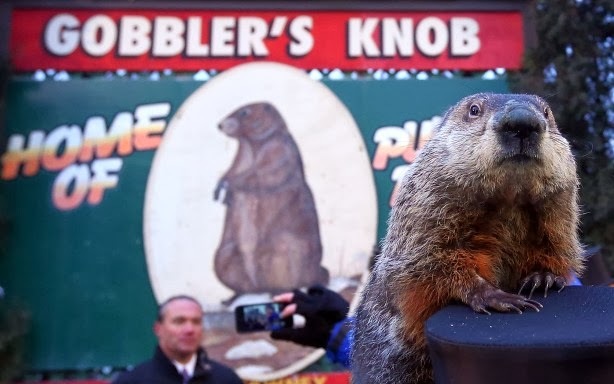 In other news, Punxsutawney Phil has emerged from his little rodent hole bearing news that there will be another 6 weeks of winter instead of just 4. I mean, I guess it's only 2 extra weeks of winter...but still, this is just not what people want to hear. I mean - can't he just make the 4 week prediction and give all of humanity some hope that Spring is just around the corner?? True or not, it would do our fragile, frozen, psyche's some good to have hope for an early Spring. I mean, as much as I enjoy a good snowstorm and pretty fresh fallen snow...it would be nice to know that green grass and blooming flowers aren't too far off. However, as an animal lover, I can appreciate that Phil is only doing his job, and find his cute little groundhog face just too sweet to be mad at. The riveting fun of Groundhog Day aside, we also celebrate my son Benjamin's birthday on February 15th. He will be turning 4!!! FOUR YEARS OLD! He's my "baby"!!! It's absolutely insane how fast time goes by. I want to hit "pause" and just enjoy both my kids right now. Lauren just turned 5 in November and now Benjamin will be 4. It makes me realize I need to enjoy every single moment. Being a parent has given me a new appreciation of time and making the most of each moment....even the "not so fun" ones when things get hectic and one of them doesn't want to bathe and the other refuses to eat vegetables. Or when Ben pees in his sneaker instead of the potty, and Lauren insists she "needs her own iPad so she can play Angry Birds and Barbie Games" (her words exactly). Or when I take them both to CVS to pick up a prescription at the pharmacy and they both put their mouths on the edge of the pharmacy counter thinking it's funny knowing it will drive their OCD momma absolutely insane - which it did. I'm still having flashbacks of that one....BLECH! In any event, these are the times that one day I will look back at and long for...well not so much the counter licking thing, but the other stuff.